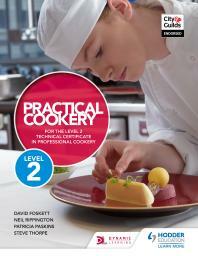 Advanced Professional Chef Level 3 Diploma, 2nd ed. Selected from Ebook Central. Click on the book cover and enter your network log-in details when prompted. Basic Cookery for Foundation Learning. Selected from EBSCO. Click on the book cover and enter your network log-in details when prompted. 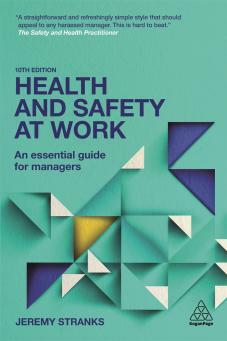 Written in jargon-free language, Health and Safety at Work cuts through the legal complexities to enable you to fully understand the law and its implications for your business. 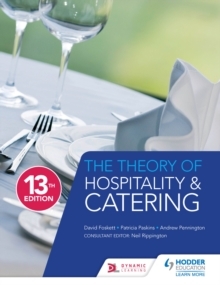 The Theory of Hospitality & Catering : For Levels 3 and 4. The official website for the BBC Good Food Magazine - excellent information and a searchable archive of recipes. Great site for recipes from your favourite chefs and TV programmes also a useful glossary and A to Z explanation of food terms. Enter your ingredients and find a recipe – even for special diets. 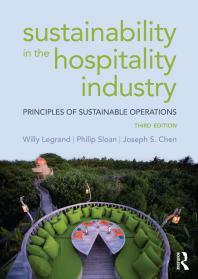 Big Hospitality is an on-line resource for those working in, and interested in, the hospitality industry. Keeps users up-to-date on all the latest news related to the hotel, restaurant, pub and outside catering sectors in the UK. Designed for the modern baking industry it provides industry operators with in-depth business features and information on market developments, recipe ideas, new product developments etc. The British Cheese Board is the voice of British cheese and is dedicated to educating the British public about eating cheese as part of a balanced diet. Delivers authoritative, evidence-based information on food and nutrition in the context of health and lifestyle. Information on the planning and management of amusements and attractions - covers relevant legislation. Foods Standards Agency - promotes food safety, provides nutrition and hygiene information and latest food news. Responsible for health and safety regulation in Great Britain ensuring that risks in the changing workplace are properly controlled. Excellent factual advice and downloadable leaflets. Seeks to promote the British meat industry and includes latest recipes, facts and information, healthy eating and a guide to storing meat. 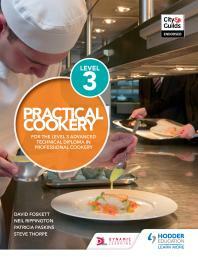 Excellent resources for L2 and L3 Catering, Hospitality and Tourism students also L2 Beauty and Hairdressing. Online tutorials that you can download or play online. The alliance for better food and farming - projects, campaigns and research i.e. food at school, food and mental health, food poverty. Home of UK vegetarian cuisine - recipes, food facts, information and links.